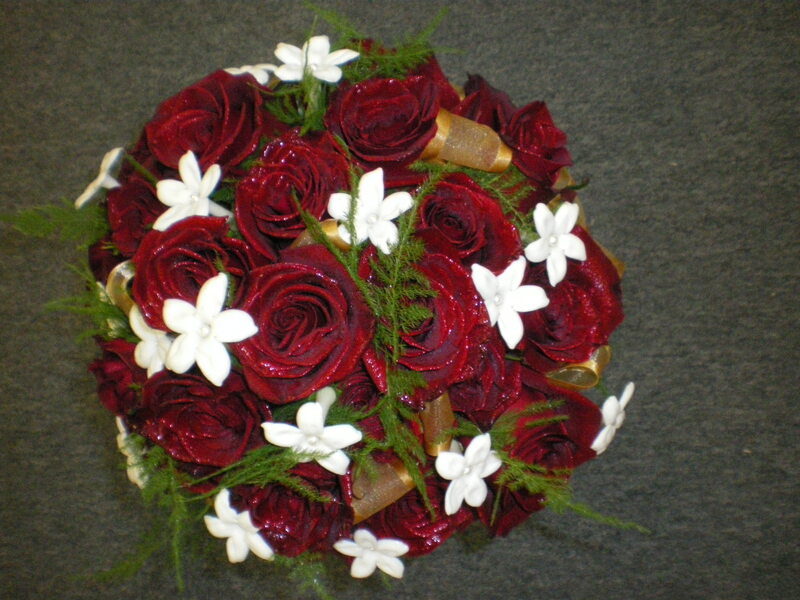 For centuries, flowers have been a way for men to show their love or at least amorous inclinations on Valentine’s day. But did you know that there is a lot more to flowers than just their beauty and fragrance? Each flower , green and sometimes even the color of the flower, was given a meaning in the Regency and Victorian eras of English society so that people could subtly tell each other how they felt. Yellow roses spoke of jealousy while white roses spoke of purity. Pink roses suggested the beginnings of love while red roses meant true love. Even the size of the roses meant something. Rose in bud form meant the beginning of a relationship or even ‘nice to make your acquaintance’ , while half blown (half open) roses meant that things were definitely beginning to heat up. Full blown roses signified that love was in full bloom and maybe even that an engagement was imminent. As an example, a bouquet of roses, stephanotis, alstromeria and ivy would have the meaning of Devoted love, fidelity and a happy marriage. So when you sit down with one of our florists to design your bouquet, think about what it means as well as how you want it to look. It will give more dimension and meaning to your wedding and give you something to talk about for years to come. I think the most important events in our lives are the ones that are proof of a ‘change of life’. No, I don’t mean menopause! I mean specific events that show the growth into the next phase of our life. Births, Baptisms, Birthdays, Graduations etc are all momentous occasions that we mark with a celebration. I pause on this thought today, because my oldest child is about to turn twenty-one and instead of having Mom make the plans, She is doing everything on her own. For me, her twenty-first birthday only proves that I am aging faster and that soon she will be leaving my nest. For her it’s the completion of childhood and the new beginning that is her adulthood. Therefore, it’s more than just a party, it’s a cause for a momentous celebration! Quinceaneras, Mitzvahs and Weddings are some of the more joyous of the change of life events. Huge festivities surround these events and sometimes last days at a time. From becoming an adult in the eyes of the community to becoming a family, the events that show our personal and community growth are always cause for a grand celebration. If we look into the photo album of our lives, the most and best photos are of these change of life events. We pay a photographer to come in and photograph our senior portraits and weddings, but we don’t hire a professional photographer for Fourth of July celebrations or Christmas. These are annual events instead of Change of Life events, and they don’t hold the same impact on our day to day lives that something like a wedding or funeral would. Yes, Funerals are change of life events. And these days I am seeing them as celebrations of the life of our loved ones rather than as the sad, morose events of the past. I believe this healthy celebration helps people deal with a tragic event easier and gives them the opportunity to say all of the things they didn’t or couldn’t before. So from birth to death and all of the Change of Life events in between; Celebrate! Recently I asked one of my brides what the theme of her wedding was. She adamantly told me that she was not interested in a ‘Theme Wedding’. After a quick explanation that ‘THE’ theme and A ‘Theme‘ were two different things, she told me about her vision and how she wanted the event to look. The theme of the wedding is like the melody of a song. A ‘Theme’ would be like the words of a song. The theme (or melody) of the event is the way the decor fits together and sets the mood of the event. Crisp white linens with apple green napkins and green viburnum in glass vases is still a theme. It’s just not the traditional ‘Theme‘ as most people see it. It gives a feeling, sets the tone of the event and creates an environment that underlies an event rather than modifies it. ‘A Theme‘ on the other hand can be more picturesque, and tell a story rather than create a mood. A Cinderella wedding or a Renaissance wedding are themes that use the ‘words’ of the song to tell a story. So don’t be afraid of talking about your theme. It can be as simple as your color choices or the lighting you have chosen, and if you do choose to have a ‘Theme’, enjoy it~ It can be like a toy that you play with or a puzzle with many parts that seem to keep adding up. Either way, make it yours and remember to take a moment to enjoy the song. Kudos must go out to the Indiana contingent of the Association of Bridal Consultants for a truly enjoyable conference. I think we Phoenix people must have brought the good weather with us, I didn’t have to wear a jacket the entire time I was there. Indianapolis is certainly a lovely city. I was pleasantly surprised at the lovely old ornate buildings mixed in with the eclecticly designed newer glass and steel buildings and the lighted tree lined streets. Very picturesque. Of course the main reason for being in Indy was the conference and the learning and networking associated with it. It reinforced my decision to blog as well as helped me form a better idea of how to use the internet and all of it’s wonderful social networking to my advantage. I also attained the designation of Master Wedding Vendor (1 of 4 in the world) while I was there. Much like finishing my Thesis in College, I felt as if I would never finish with the compilation of credentials and my portfolio. Presenting and defending my portfolio frightened me initially, but having been in the business as long as I have gave me the strength and knowledge that I could do it. 7 out of 14 people submitting their portfolios are now Masters. I was the only Vendor, the rest are now Master Bridal Consultants. Congratulations to all of you on your hard work! I only mention that not everyone was able to attain the Master level because I think it is important for everyone to know how difficult it is to become a Master. But have heart! Determination and skill will have the others with us soon. Thanks to Indianapolis ABC and the ABC National Committee for a great conference. Can’t wait for next year in Phoenix where the conference will be hot, HOTT, Haute! Many brides fall into the thinking that ‘My wedding isn’t until next season so I will worry about it then.’ But this seasonal thinking can definitely get them into trouble. A perfect example is the bride with an early January wedding who keeps thinking that she has until ‘next year’ and suddenly it is the beginning of December, she is worrying about the holidays yet she still hasn’t ordered her bridal bouquets or booked her DJ. Or the bride who gets engaged a Christmas for an October wedding, but in the summer keeps thinking that since her wedding is in the fall she has ‘plenty of time’. Panic sets in and due to lack of foresight, her budget gets thrown out with the wrapping paper. Amusingly, this same bride according to statistics has been carrying around at least one of the dozens of bridal magazines available to her for the last six months or so. Is she just looking at the pictures or is she taking in any of the content? Every one of the bridal magazines on my desk has a basic timeline that, when loosely followed, should be giving today’s bride an easy way to budget and plan their wedding. Occasionally, they have actually done the budgeting and planning, but since the event isn’t for two months, haven’t put down deposits on services and goods that they need and find themselves without the venue or equipment desired because they are no longer available. This is not entirely the fault of the bride in this case. It is very easy for a busy event professional to say, ‘oh, we have plenty of time for that.’ These simple words decrease the urgency for the bride and she begins to procrastinate. Not only is this hard on the bride, but is bad salesmanship. As event professionals we should be guiding these clients towards a need to book their services early. We should be tellng them at Bridal Shows, consultation and through our advertising that ‘times a’ wastin’. Our clients and brides deserve the wedding of their dreams and if they wait until closer to wedding season, it will be too late. This has been one of the strangest years I have ever seen in the wedding industry. 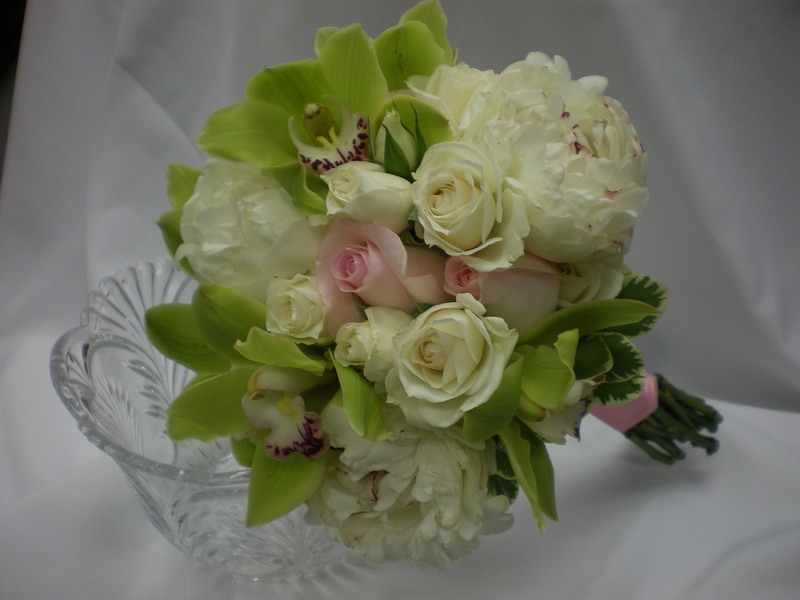 Brides are booking and completing their weddings in the very short spans of time. It isn’t unusual to be engaged for six months or more as in the past, but the actual planning portions of their weddings seem to be within a month of their actual event. At first it looked as if the short planning time was directly related to the internet and its immediate gratification aspect. After all, you can order a pizza online and have it delivered in half an hour, why can’t you order your event rentals or invitations on line and have them delivered the next day? Obviously this isn’t feasible in the real world where inventory limitations, budget restrictions and actual creation time deserve a little preplanning. However, this change in timing isn’t due to the fact that the internet bride is not preplanning. On the contrary, she is doing extensive internet research on the items she needs for her event and the delay is in the actual ordering of goods. This new savvy bride is still abiding by the suggested timelines that she sees in every bridal magazine and on one of the hundreds of bridal websites, but she is visiting the vendors she needs to create her event later in the planning process.